REFCOLD INDIA is the premier destination for innovation, education and B2B networking for the entire food industry. 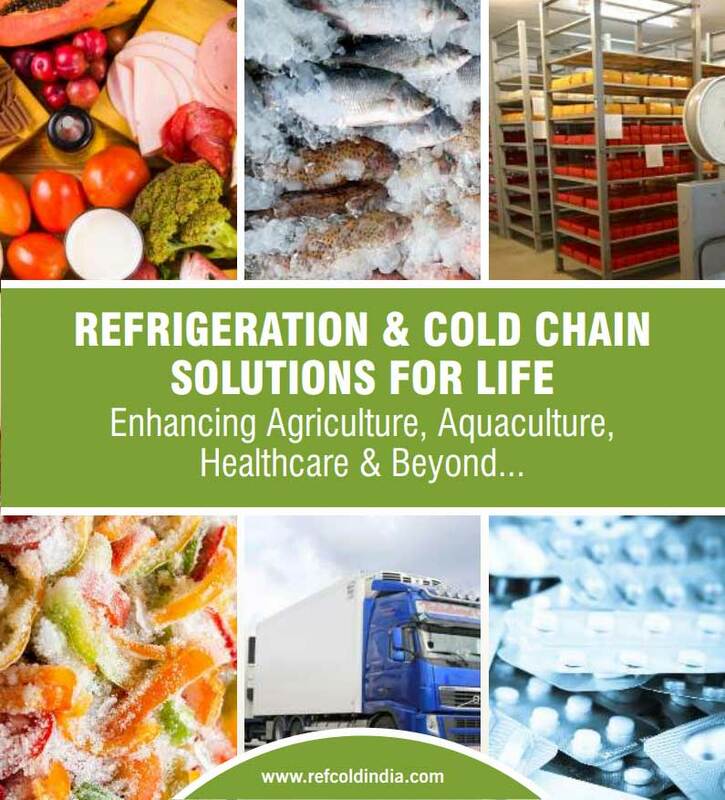 More than 15,000 decision-makers and innovators from retail, food service, processing, production, distribution, logistics, and transportation representing frozen, refrigerated, ambient and fresh operations are expected to attend. Over the course of three days from November 21-23, 2019, REFCOLD INDIA - exhibition, seminars and workshops combine to deliver the most valuable and comprehensive business-to-business networking event serving the perishables industry. Companies that participate in the event gain a high level of brand recognition and targeted business development opportunies in front of key buying audiences that produce, handle, store, transport or are involved in the distribution of perishable products and are looking to optimize their supply chain and/or improve facility operations. The penetration rate of the refrigerator market in India to increase to 47.5% in 2026, from 27.3% in 2016. India has the largest cold store capacity in the world. Indian cold storage market to grow at a CAGR of 16.09% (US$8.57 billion) by 2020 driven by the growth in the organized retail, Indian fast food market, food processing industry and e-commerce sectors. Refrigerated storage market in India to grow at a CAGR of 15% by 2020. Refrigerated transportation market - the largest contributor to cold storage market in India to grow at a CAGR of 17% by 2020. Dairy cold storage market in India is the second largest market share in India in terms of revenue to grow at a CAGR of 18.16% by 2020. The growth forecast for butter is 14.5% CAGR, 20.5% CAGR for cheese and 19.5% for ice-cream by 2020. Pharma cold storage market to grow at a CAGR of 16% by 2020. Refrigerated/reefer trucks market to grow at a CAGR rate of 85.30% by 2020 in terms of trucks.